Willis does a decent job as the man avenging his family’s torture but this isn’t one of his best performances by a long shot. Although he showcases a range of emotions — from shock and guilt to rage and retribution — he’s let down by the script. Among the supporting cast, Frank Kersey (Vincent D’Onofrio) playing Paul’s brother is the only one who stands out. The bad guys aren’t menacing enough, making one wish more attention was paid to the casting. There are moments towards the end where you find yourself on the edge of your seat, silently rooting for the veteran actor as he goes about his job but unfortunately, it’s too late by then. You can give this a watch if you enjoy revenge dramas and are a Bruce Willis fan. The script offers little by way of character development, preferring instead to pay lip service to concerns about gun culture and the validity of ‘purposeful’ vigilantism. Age hasn’t exactly treated Bruce Willis well but he manages to pull off the down-and-dirty stuff with conviction. Old-timer Elisabeth Shue is wasted in the role of his murdered wife. 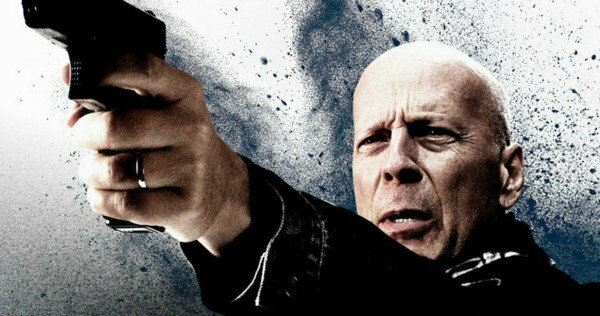 Unlike the original, a cult classic, the new millennium Death Wish is not even sporadically interesting. Paul Kersey, who lives with his wife Lucy and college-bound daughter Jordan, works as a trauma surgeon at a Chicago hospital. During the Kerseys’ lunch, Paul’s brother, Frank, asks him to lend some money to pay off a debt, to which Paul reluctantly agrees. As the Kerseys leave, he gives the valet, Miguel, the keys to their car and tells him, out of joy, that Paul has “got the money”. Miguel goes to pick the car up, but also take pictures of Paul’s address from their car. The night the Kerseys are to have a birthday dinner, three masked men invade the Kerseys’ home while Paul is at work. During the assault, both Jordan and Lucy are shot. Paul is informed at the hospital that Lucy died of gunshot wounds whereas Jordan fell into a coma. Police Detective Kevin Raines is one of the officers tasked with the investigation.